We believe in creating a relationship with our patients that goes beyond the office doors. We've specially created this section of our site to share with you important news from our Noblesville family dental practice. 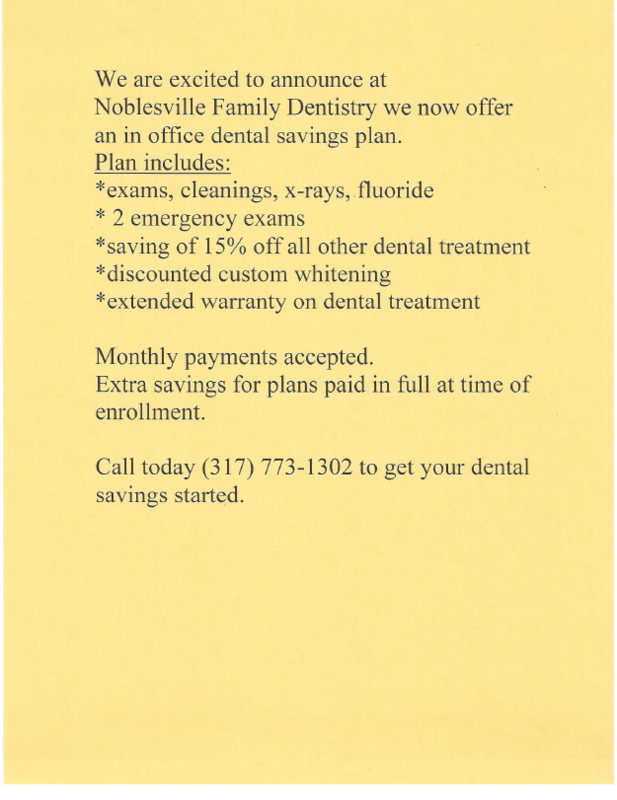 Noblesville Family Dentistry is now offering a new Dental Savings Plan for non-insurance patients. 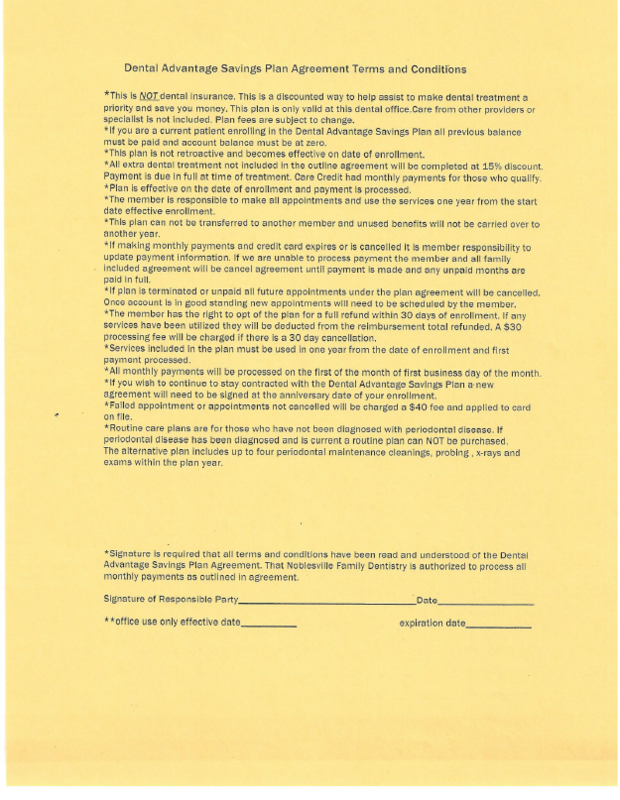 Check out our announcement, print out the agreement form, and if you have any questions, please give our office a call at (317) 773-1302. 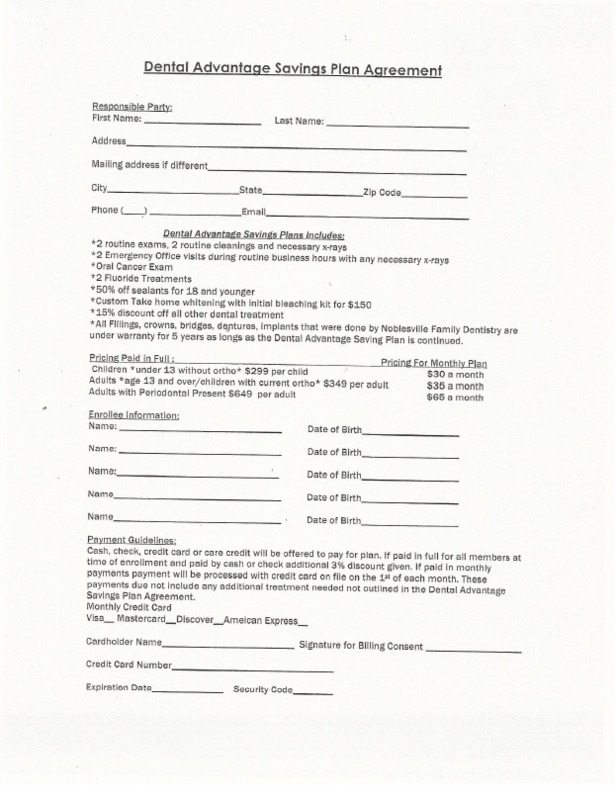 Click here for the PDF version to print and fill out at home.